DAVID LE/Staff photo. 5/12/15. 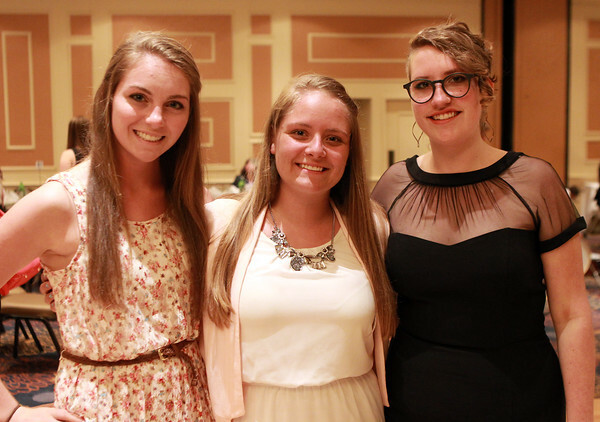 From left: Gloucester High School seniors Laura Johnson, Brianna Sutherland, and Emma Paddock, at the 47th annual Honor Scholors Recognition Dinner held at the DoubleTree in Danvers on Tuesday evening. Other Gloucester High School seniors honors included: Tess Benson, Matthew Ciaramitaro, Joseph Cominelli, Cody Eaton, Melanie MacDonald, Aaron Mackert, Sabrina Marnoto, Rachael Shahin, and Jaclyn Withers.